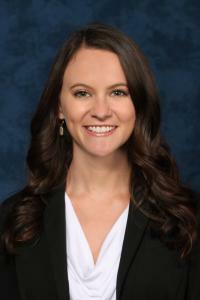 Macy Matthews clerked with HHDU in law school and is the newest member of the firm’s Corporate Law Section. She is an honors graduate of Baylor Law School. ADDISON, TEXAS, U.S., February 8, 2019 /EINPresswire.com/ -- North Texas-based commercial law firm Hiersche, Hayward, Drakeley and Urbach, P.C.1 has expanded its Corporate Law Section with the hiring of Macy L. Matthews2. Matthews was previously a law clerk with the firm and will now join the firm full-time as an Associate Attorney. Macy graduated from Baylor Law School with honors, and also earned recognition for her legal acumen and commitment, winning the Haley & Olson, P.C. Corporate Law Award and Larry T. Bates Excellence in Appellate Advocacy Award. She was a Semi-Finalist in the Strasburger & Price Moot Court Competition in Spring 2016 and served as a Barrister in the Harvey M. Richey Moot Court Society. She also coached the Transactional Law Meet Team and was a member of the Baylor Public Interest Society and Texas Aggie Bar Association. Macy earned a Bachelor of Business Administration in Management from Texas A&M University in 2014, where she was a member of the TAMU Pre-Law Society. Hiersche, Hayward, Drakeley and Urbach, P.C. is a full-service commercial law firm located in Addison, Texas and serving the D/FW Metroplex and North Texas area. HHDU was selected for Best Law Firms 2019 by U.S. News & World Report in recognition of the firm’s understanding of a business and its needs, as well as their attorneys’ experience, responsiveness and cost-effectiveness. The attorneys of the firm provide legal representation in a broad range of practice areas, including complex commercial litigation, business, real estate, mergers and acquisitions, executive employment representation, insurance defense, intellectual property, bankruptcy, creditor’s rights, taxation, and estate planning. For more information visit the firm’s website at www.hhdulaw.com. Hiersche, Hayward, Drakeley and Urbach, P.C.